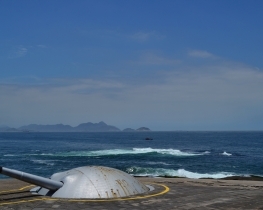 Officially Forte de Copacabana is a military fort at the end of Copacabana's beach that also features Army History Museum. My boyfriend's mother almost refused to go there saying that she doesn't want to know anything about war. The strange thing is that it has nothing to do with war. Copacabana Fort seems to be the most peaceful place you can imagine. 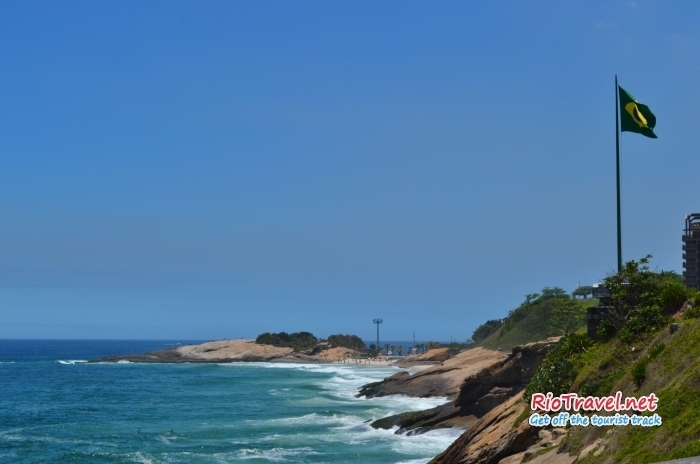 There are two nice cafes with outdoor sitting area to enjoy the panoramic view of Copacabana beach. Almost every Sunday at 6 p.m. there is an open-air concert. A big orchestra is playing chorinho music and the dance floor is full of people between age 2 and 90. 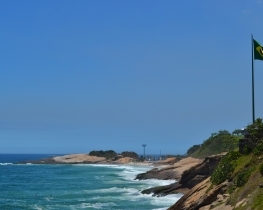 Conveniently located fortress between Copacabana and Ipanema. 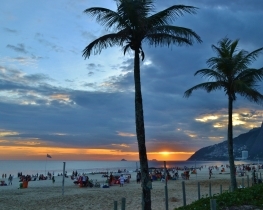 If you want to have a beautiful view of the Copacabana beach, but escape the hordes of people, that’s the place for you. In the end of this small peninsula fort you can walk around on a big rock formation with huge integrated cannons aimed at the bay. You can peek down into the cannon and also visit the museum under the rock, to see the loading bay. 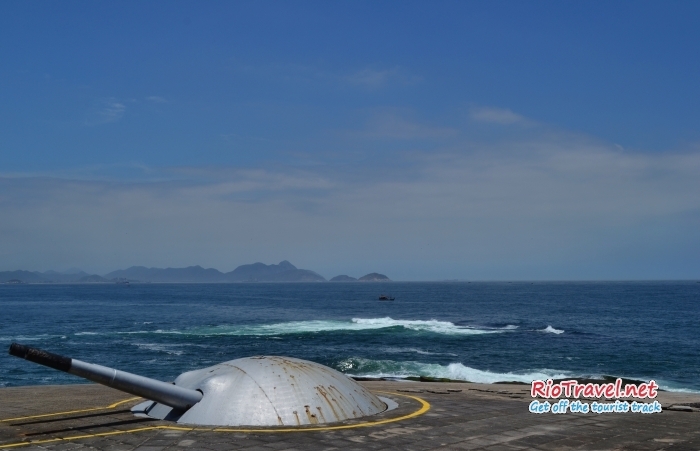 Forte de Copacabana is a nice and relaxing place to visit, although it’s a military fort. 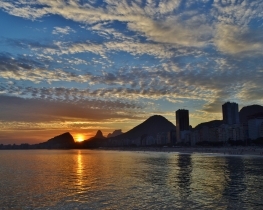 The fortress is located at the southern end of Copacabana beach and provides you with a full view of Copacabana and Leme beaches on one side and Diabo beach followed by Arpoador rock on the other. 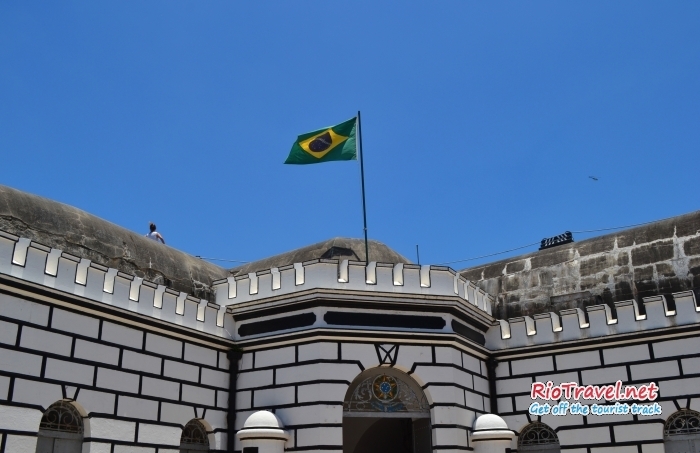 Forte de Copacabana (Copacabana Fort) was inaugurated in 1914 with the purpose of increasing the defense of Guanabara bay. 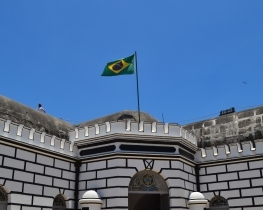 In 1986 its military function was finished and it turned into Army History Museum to honor the memory of the Brazilian Army, as well as to serve as a cultural space for its visitors. There are live concerts with local music bands on most Sundays, sometimes also other days. Check the fort´s website for schedule. Confeitaria Colombo offers a big breakfast ("cafe da manha"), go and try it one morning. Have a drink, lunch or dinner in one of the two cafes of the fort. 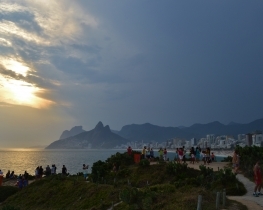 The view of Copacabana beach is great if you are lucky to get a table outside. To get it, reserve the table as soon as you arrive to the fort, then walk around until your table will be free. Definitely go to the furthest end of the fort, where you find two huge cannons on a rock formation spanning into the ocean. On the rock you will witness some super nice 360 degree panoramas. Almost all Rio's museums are closed on Mondays. On Tuesdays many museums offer free entrance. Check the museum's website for exact information. 1. Walk to the beach. 2. Turn left towards Arpoador and Copacabana. 3. Walk the main street (follow the bike road) until you see the gate with military guards at your right.